If you share our beliefs you are a part of us. For years we have allowed large industries to mould and shape our views on society. under, inner & overstanding that foster positive social change through music, arts and education. Make it more than words... TAKE ACTION!!! Our aim: To educate with music... With the hope to free the trapped and unconscious minds... ELEVATE! Our purpose: To energize the collective diversity of those of us willing to take determined responsible control of our own environment. To acknowledge our dutiful responsibility to nurture our culture. To facilitate activities that educate, politicize, and provide guidance to our youth. HOWEVER this is more than just a movement. It's a call for revolution, but also a call for peace. Let every day be the birth of a new day. & restrict us from being all we are meant to be. OUR MESSAGE. OUR ARMY. OUR PEOPLE!!! came to light in 1996 on the Jedi Mind Tricks EP "Amber Probe"
with official chapters in dozens of countries, much like Wu-Tang. They are often looked upon as the Protectors of Spiritual Hip-Hop. pushing the boundaries of conventional wisdom & accepted spiritual doctrines, polymorphic prophecies ​for the planet & the Venus Project to finally flourish. Method Man, Raekwon, Ghostface Killah, Inspectah Deck, U-God and Masta Killa. being the most prolific & deepest spiritual lyricist of the entire Wu Family. Wu-Tang Clan is regarded as one of the most influential hip-hop groups of all time. They have released four gold and platinum studio albums, and dozens of solo ones. is considered one of the greatest albums in hip hop history. 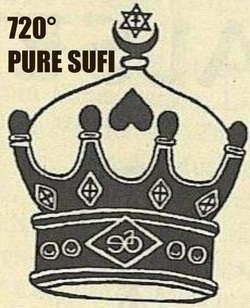 Royal fam, Brooklyn Zu, Universal Zu Disciples, Maccabeez & Black Market Militia. In 2008, About ranked them "the No. 1 greatest hip hop group of all time. ​Rolling Stone called Wu-Tang Clan "the best rap group ever". bridging the gap between street & criminal culture with deeply esoteric philosophies, martial arts & afrocentric teachings. and the will of the most high. through education, self-reliance, and preparedness. Only The Realist Feel This! we are the people. ​We believe in non-violent, peaceful civil disobedience. such as religion, socialism and capitalism to name but a few. that have stopped our evolution and removed our freedom. We see these ideologies for what they are, SYSTEMS OF CONTROL. No longer shall the people be oppressed by corruption. balancing Life & Death in between them. & Vimanas Project as well as many more. all of this is still ultimately within Maya. advocating the unity of Hip Hop through non-violent conflict resolution. and began to give meaning & purpose to Hip-Hop globally. we began to refer to Hip-Hop as a “culture”. J.J. Fad, Young M.C., Digital Underground, Oaktown’s 3.5.7., M.C. Hammer, and Eazy-E.
and human ingenuity over destructive technologies and technological dependency. M.C. Lyte, Ms. Melodie, Queen Latifah, DMC, Jam Master Jay and KRS ONE. while Hip-Hop is something that is lived. but also breakin, Deejayin, graffiti writing, and beat boxin. and that it (Hip-Hop) only becomes physical when we become it. and the establishment of the Temple of Hip-Hop in 1996.
and urban ministry focused upon the cultural expansion and spiritual development of Hip-Hop. within Hip-Hop’s cultural image in world history. ​Our approach to Hip-Hop is indeed unique. the Temple of Hip Hop focuses more upon why Hip-Hop got started. Why Hip-Hop and why now? which asked thousands of “Hip-hoppas”: what is Hip-Hop? How would you improve upon it? What would you like to see from Hip-Hop? and establish the groundwork for a new Hip-Hop nation. revealing the long hidden, true foundation of (ab)original kemetic spirituality: endarkenment. he now resides on the Upper West Side in New York City. as well as an uncannily powerful, unique & rapid paced flow. the Illuminati, root races, occult theology & oracular science-fiction among many others. as the guardians of the temple & defenders of the true culture. ​of white supremacist western theologies. The Universal Zulu Nation is an international hip-hop awareness group. for those in the ghetto, and eventually onward to all those supportive of the culture. 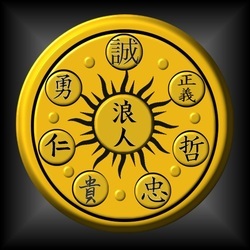 were the base of the organization, other reformed gangs contributed additional members, notably the Savage Nomads, Seven Immortals, and Savage Skulls, among others. of hip hop culture. Elements of the culture include Knowledge as the primordial foundation of all others, which break down into MCing, DJing, breaking, graffiti & beatboxing. The original Zulu Nation was founded by King Shaka Zulu in 1816, and expanded to encompass most of South Africa & some adjacent regions. It was also known as the Zulu Empire. which was originally only breakdancers but has since come to encompass a multitude of artists & leaders in the movement. the movement incorporated many doctrines from the Nation of Islam, the Nation of Gods and Earths, and the Nuwaubians. of Poor Righteous Teachers & Revolutionaries. from the art of poetry to the art of Community Building. We have gathered artists and community leaders from across the globe. "There are no leaders amongst Queens and Kings, Only Leaders within Queens and Kings"
in over 20 different countries. They are living legends of Hip-Hop in this country. or displayed on a screen is crimethink. — a secret society pledged to the propagation of crimethink. ​Very little is known about this society. & their traditions and beliefs are shrouded in secrecy. ​& strike the corrupted & decadent when they least expect it. far past what most rappers can even fathom. as well as Producers Budo, Jake One & Mr. Dibbs, to name a few. ​Cane Corso Records is an independent label based in Phoenix, Arizona. the late Arcanegel, and Baron Von Molotov. Cane Corso is the home of the Plague Monks & nuns collective & many others. & they are to the Americas what Iapetus is to South Africa in many senses. This might give you an idea of what to expect when you listen. spreading awareness in all forms. and love for unfiltered, raw hip-hop. Fake Four is an independent record label based in New Haven, Connecticut. far beyond anything previously heard in this movement. Fake Four Inc. does not adhere to genre specifications. ​for pushing the boundaries of indie rap. 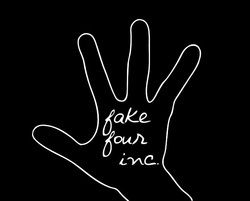 Fake Four is the most important label in progressive hip-hop right now"
The time has come for us to reveal ourselves..
we are embedded agents of a global operation..
we have sleeper cells in every nation on the planet.. you won’t see us on tv..
you won’t read about us in the newspaper.. you won’t hear about us on the radio..
in every country and culture of the world.. cities big and small.. mountains and valleys..
and not even notice.. we are undercover.. remaining behind the scenes..
it is of no concern to us who takes the final credit.. just simply that the work gets done..
we are creating this world with the power of our hearts and minds..
with our own unique gifts and talents..
our motto.. we know it to be the only way real transformation takes place..
we know that quietly and humbly we have the power of all the oceans combined..
our work is slow and meticulous.. like the formation of mountains..
it is not even visible at first glance.. and yet.. with it..
a non-profit record label founded by Eternal Turbulence. 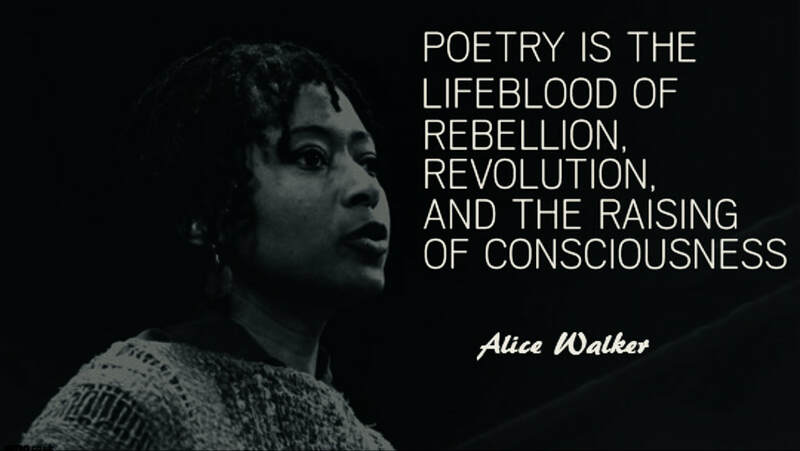 yet poetry is clearly their primordial foundation. working on the stolen lands of occupied Turtle Island. 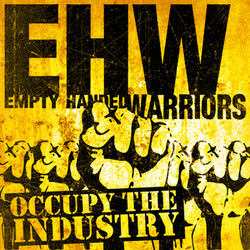 ​ & non-profit venues inciting dissidence in crowds. or otherwise collaborate together on hiatus for five months. they've reunited and are touring, recording, and launching a brand new album of revolutionary fire. as well as working on several other projects, both as a producer & emcee. & staying heavily involved in protests & grassroots organizing. & liberation from oppression across the world. & published nearly 100 albums since the mid 90s. & has worked with and produced tracks for hundreds of different artists. offering all his music and albums freely to the masses. in the hidden history of underground Hip-Hop. Click on the picture to find hundreds of tracks on his youtube channel. “Music for a Better World” consists of a diverse mixture of musical genres, including jazz, reggae, hip hop, Spanish music, and Brazilian capoeira, coming together in unity with powerful and meaningful lyrics that march for peace, love, and equality for all. to a musician who sings and plays real instruments as well. and more. “It’s truly world music,” says Jamie Myerson, the accomplished musician and studio engineer who worked on this album. (he produced many tracks on the album entirely himself with drums and other instruments). 100% recycled plastic bottles. The ink used to print the packaging comes from non-toxic, biodegradable soy and vegetable based inks. for the hungry?” from his song “Let’s All Blame the Victim” is one of many pointed questions Tha Truth poses for listeners to contemplate. “I want people to enjoy this album. I want them to laugh, to get excited, and to feel like they want to move. At the same time, I want to make people think about what’s really important in life,” he says. “I hope the lyrics inspire people to start doing something to help make this world a better place to live in. Tha Truth has performed in countless venues at concerts, colleges, demonstrations, conferences, and benefits. His songs and lyrics pertain to cooperation, human rights, and social justice. In 2006 Tha Truth released his debut album "Tha Civil Rights Movement,"
which was followed in 2007 by "Tha Civil Rights Movement Part II." 2008 saw the release of his "Tha People's Music" album. On “Tha People’s Music,” Tha Truth, inspired by Howard Zinn's famous book "A People's History of the US,"
detailed the real story behind U.S. history, starting with Columbus' theft of Native land in 1492.
military recruitment, the prison industrial complex, the environment, and many other political issues. Spanish reggaeton, and DJ techniques (scratching, mixing, and effects). about injustice in society, and he began to articulate social commentary into his music. 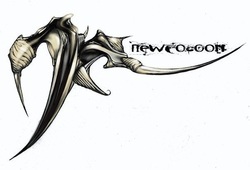 With each CD he has continued to evolve with his insight, lyricism, and overall musical production. “Music is very powerful,” Tha Truth says. “It’s what first got me to contemplate what really matters. ‘Music for a Better World’ was designed to get listeners inspired to help other people. from these spiritual and esoteric authorities and many others is apparent throughout the lyrics, as well as the meanings of signs and symbols. TruthSeekah’s message is of Light, Love and Overstanding. he truly has earned his titles of boddhiguard & Boddhi shinobi. Morbius, Outcome and Godhead The General. raised in a home of free thinkers. exposing the political corruption and global injustice of the world today. & educating people so they can stop living a lie. and more on the business end of The Sargonites. Godhead The General, has come on to join us on a new path. at a Nuwaubian Materialization-Rite Ritual, held in New Egypt, New Jersey. on the night of the North Solstice in 2007. ​ as in the multi-faceted Typhonic Setian-Sufi Tradition. HEMP. Helping Educate Misinformed People. among other services to artists in his community & beyond. & revolutionary UBUNTU & Pan-African principles. & how to contact him by clicking on the picture & visiting his blog page. namely The Underground Library for the community in the Township. as well as various organizations in our community also coming on board. Hip-Hop for the true heads. 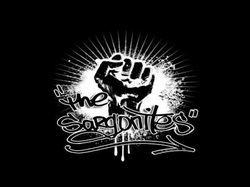 It's a South African label started by Kapture "Tha angelik"
(Producer & Emcee) ​and Frank P ( Emcee ) in the year 2010.
and esoteric knowledge through music.